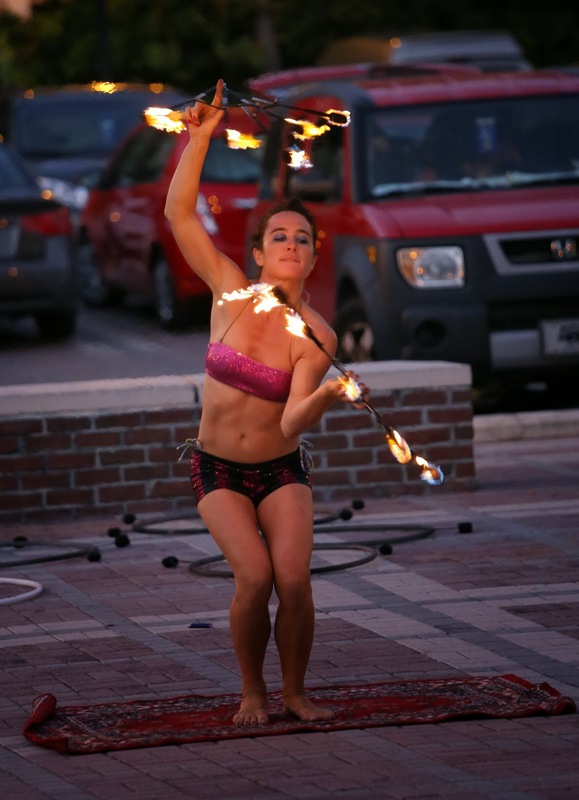 Mallory Square in Key West features street performers every evening. Most specialize in the sort of spiel that is effective at keeping an audience even when there is very little in the way of a performance happening. In contrast, this woman just silently fire-danced.